Bold, punchy and summer-ready, Ri’s latest make-up offering is hot property—or so starlounge.co.uk tells us. O frabjous day! Callooh! Callay! Rihanna has teamed up with MAC Cosmetics for a second time to create a new batch of beauty products for her exclusive line, RiRi ♥ M∙A∙C. Not only is she bringing back the hotly anticipated lipstick RiRi Woo (which sold out in a whizz-quick 3 hours first time around) but the Barbadian beauty has created four new girly goodies to add to the summer collection. Two new glossy lipsticks are at the ready to enrich your lips – RiRi Boy, a luscious lavender shade, and Heaux, a matte berry-coloured creation – as well as rose gold liquid bronzer Lustre Drops in Barbados Girl and powder blush duo Hibiscus Kiss. 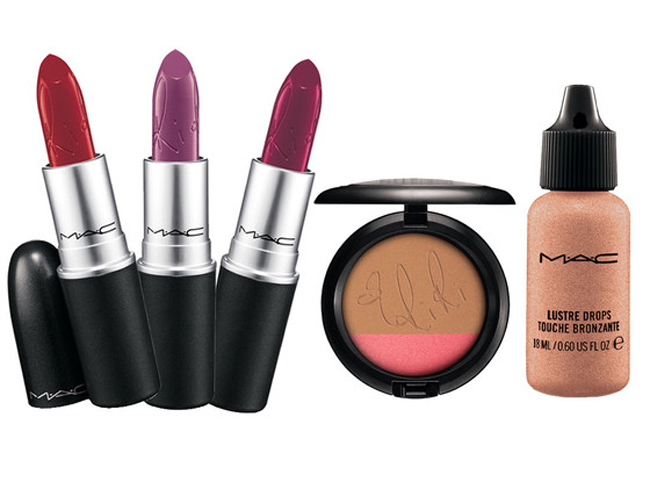 We’re almost certain Rihanna’s new offerings will sell out in super quick time if the last launch was anything to go by, so prepare to pretty up like the popstar herself, pronto, by getting your hands on her limited edition exclusively online at www.maccosmetics.co.uk.